This book provides in-depth knowledge of respiratory diseases with their causes, symptoms and diagnosis. 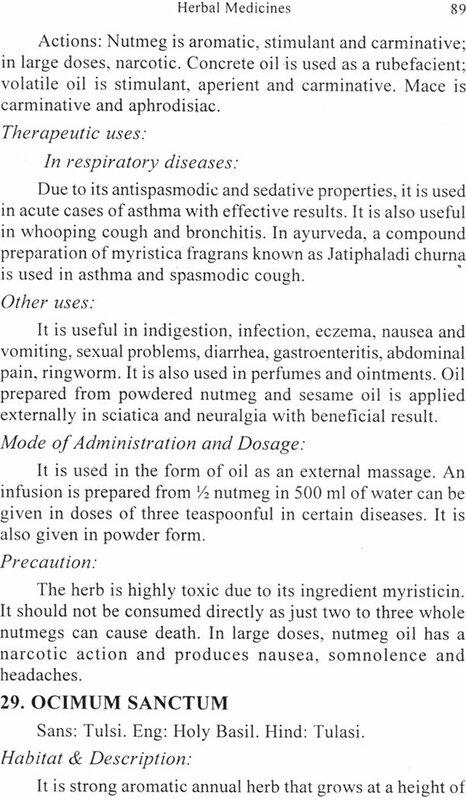 It also focuses the use of Ayurvedic and Herbal medicines in the treatment of respiratory problems. 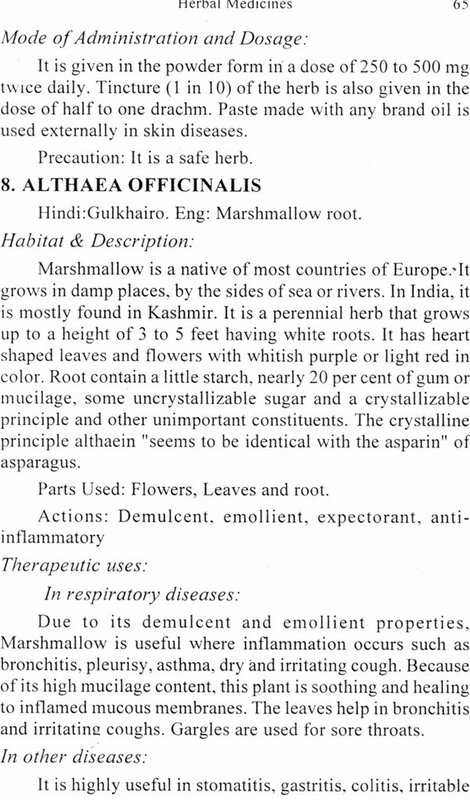 The important aspect of this book is that it takes care to give detail description of the herbs available in Western countries. Hence the readers in India and Western countries will find this book interesting and valuable in curing the problems of respiratory diseases. 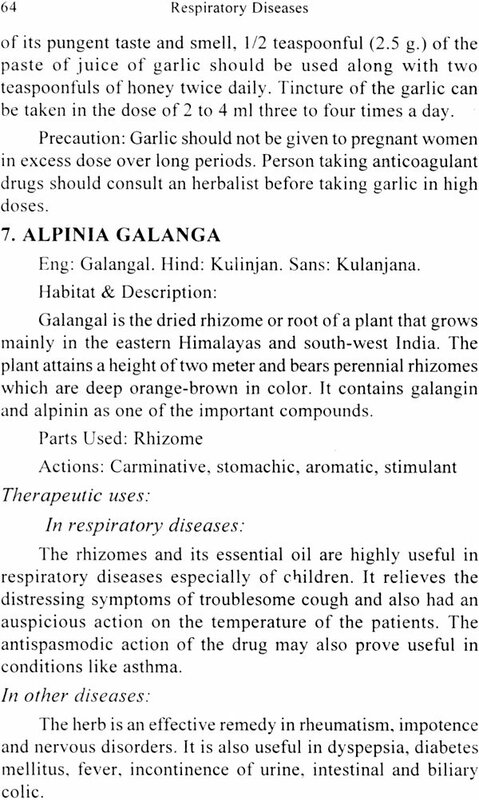 More than 35 herbs are used in this book on the basis of their therapeutic value. 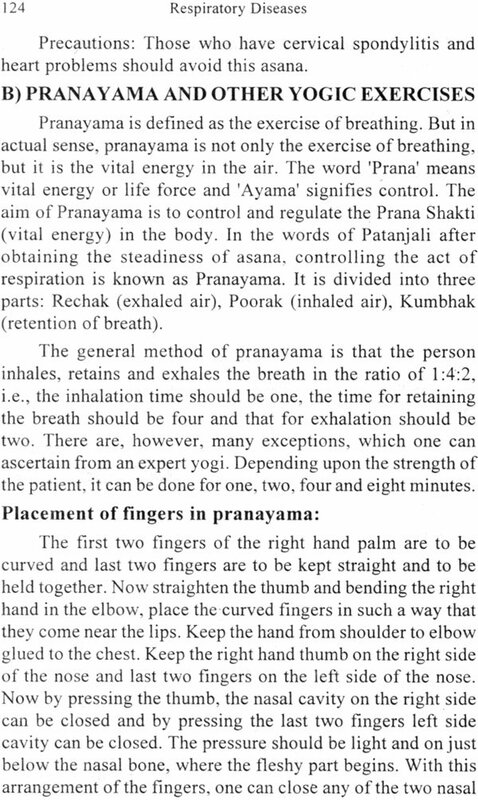 The uniqueness of this book is its special reference on yoga-asanas (with illustrations) that are used in the treatment of respiratory diseases. Dr. Narendra Jain is a research scholar in alternative medicines. He has been awarded doctorate in alternative medicine from "Indian Board of Alternative Medicine". He has done extensive studies in Ayurveda, Yoga and Herbal medicines. He advocates the idea of integrative medicine for the benefits of medically indigent people. He is the founder President of" National Council of Alternative Medicine and Research Centre" that organizes free medical camps for the underprivileged people. 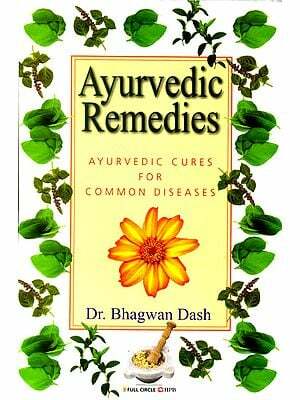 He is also the author of 'Rheumatism-A holistic Approach' and 'Arthritis'. 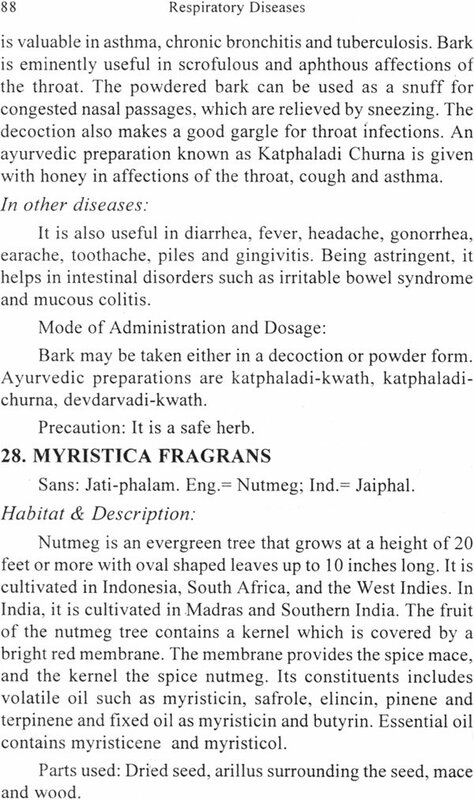 This book provides in-depth knowledge of respiratory diseases and its treatment through ayurvedic and herbal medicines. 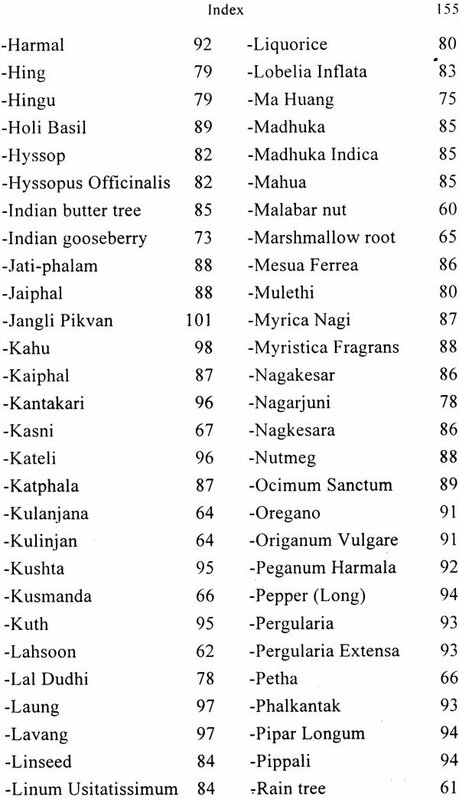 The important aspect of this book is that it takes care to give detail description of the herbs available in India and western countries. 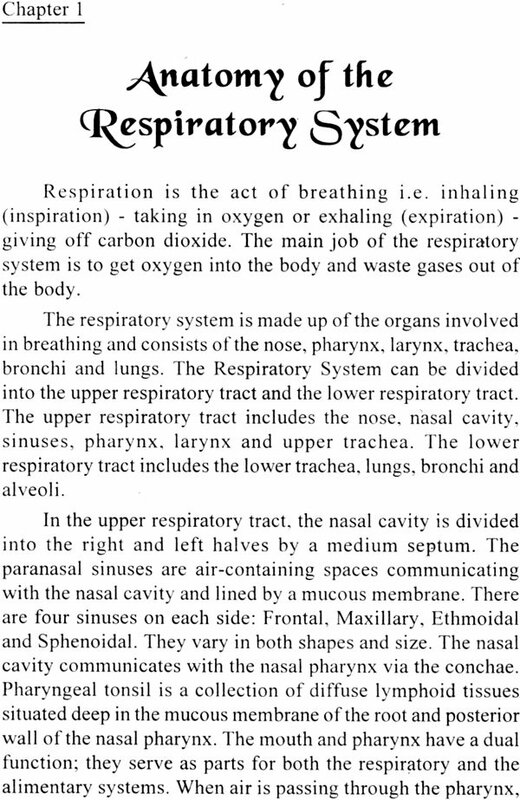 Hence the readers in India and western countries will find this book interesting and valuable in curing the problems of respiratory diseases. 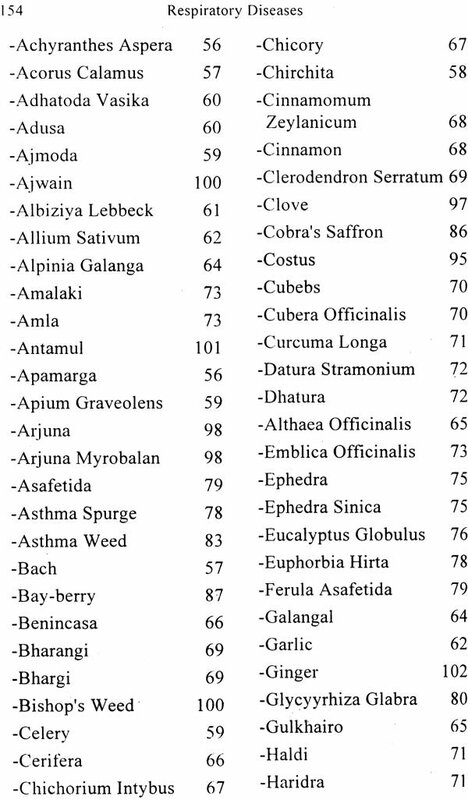 More than 40 herbs are used in this book on the basis of their therapeutic value. 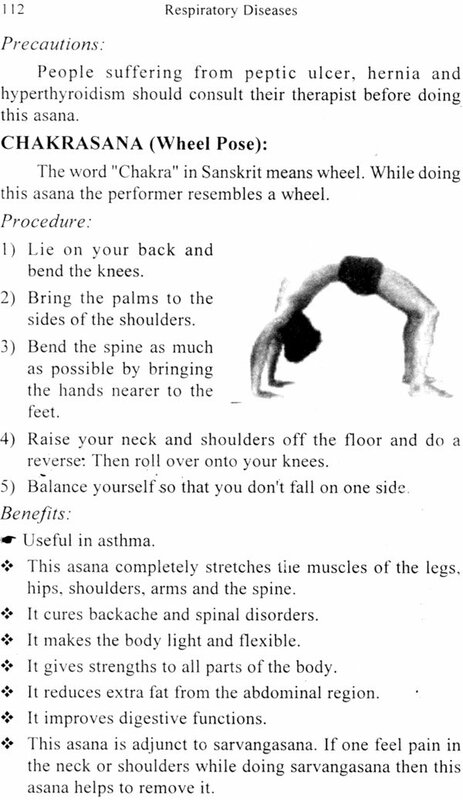 It also includes yoga therapies that are relevant in respiratory diseases. 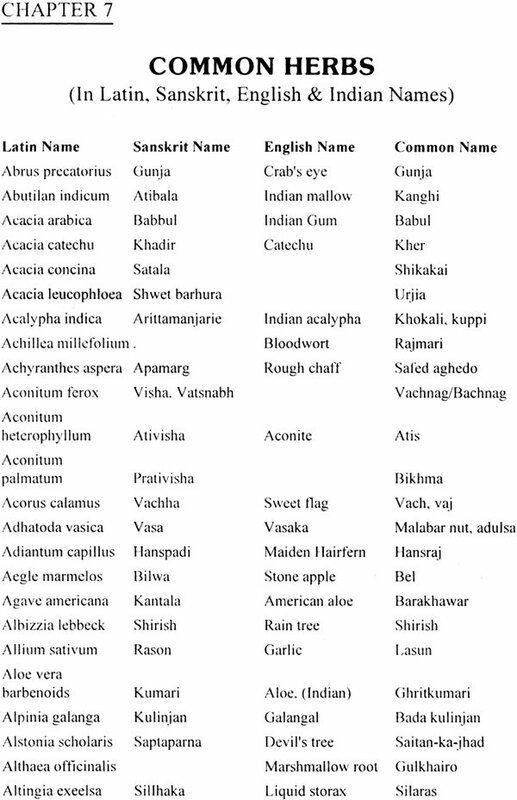 It is written in simple language avoiding as far as possible difficult terms. 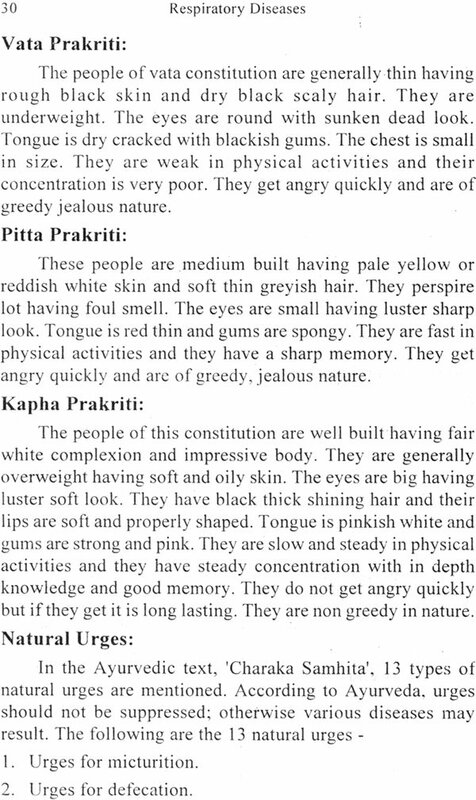 This book is divided into four parts. 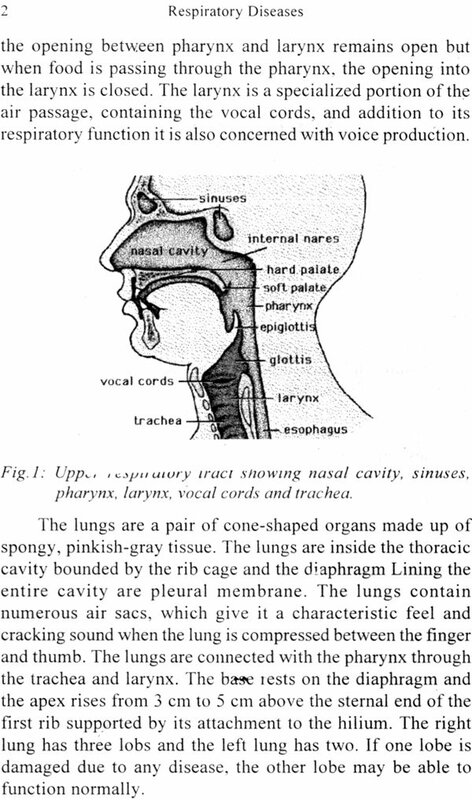 Part-I includes brief description of anatomy of upper and lower respiratory tract and diseases relating to respiratory system with their causes, symptoms, investigations and management. 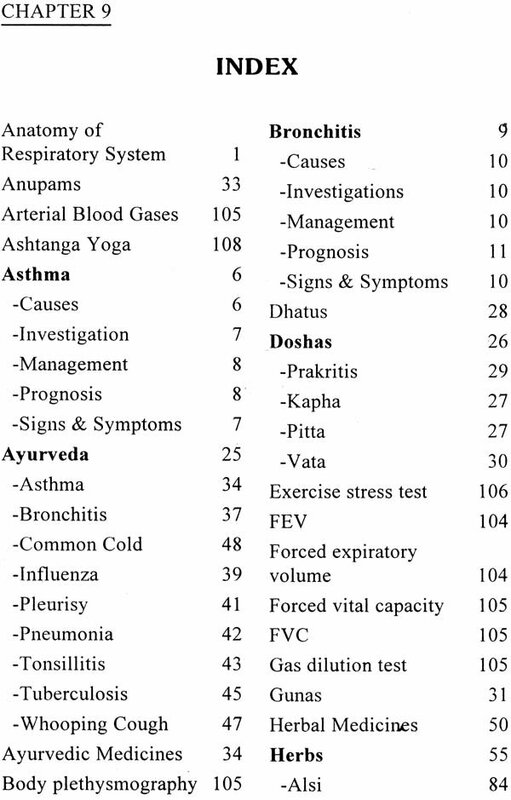 Part-II focuses different types of ayurvedic and herbal medicine in respiratory disorders. 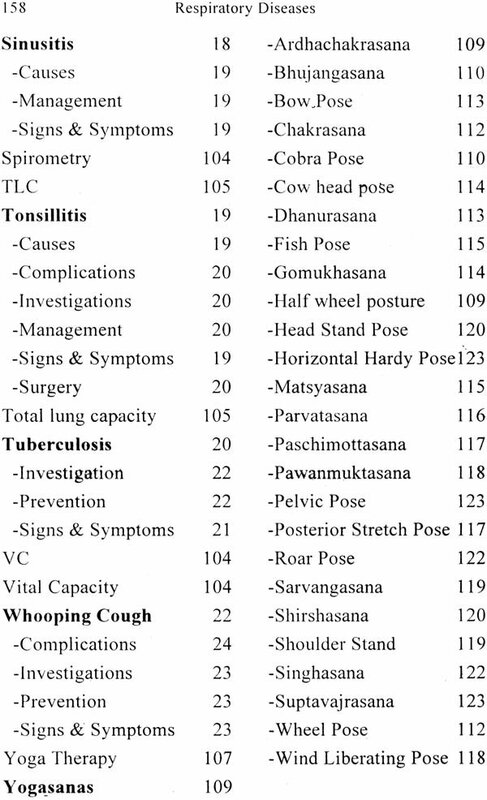 Part-III comprises special reference on PFT and mantoux test. 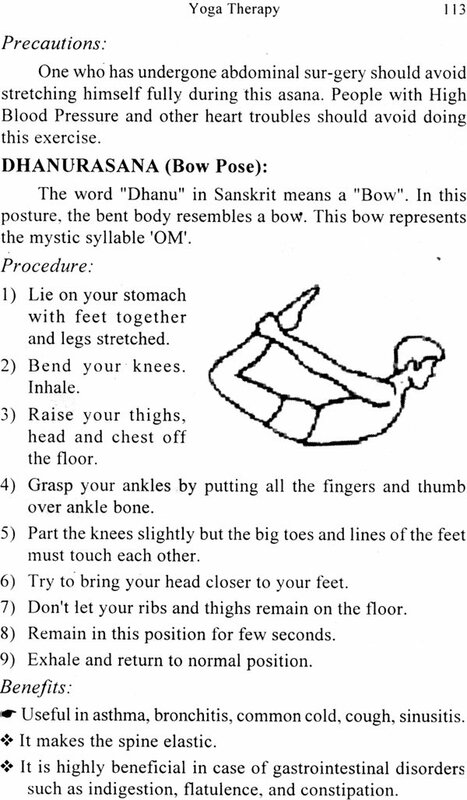 It also includes yoga therapies such as yogasanas, pranayama and mudra that are useful in respiratory problems. 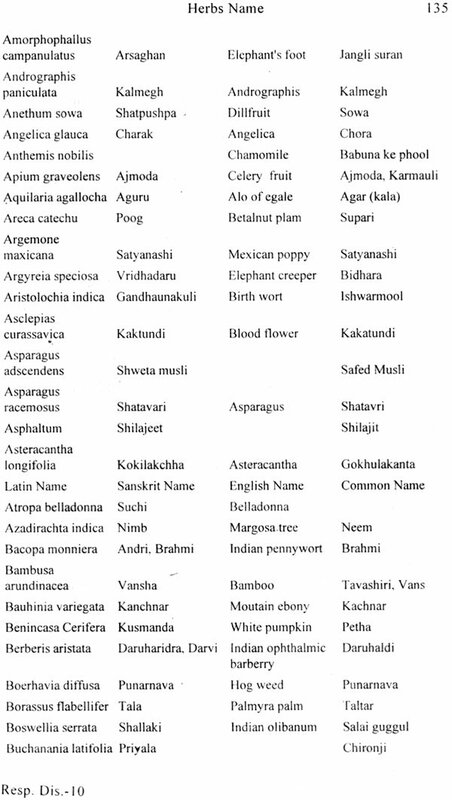 Part-IV includes glossary of some medical terms used in writing the book, an index, and a list of herbs with their botanical, English and Indian names. 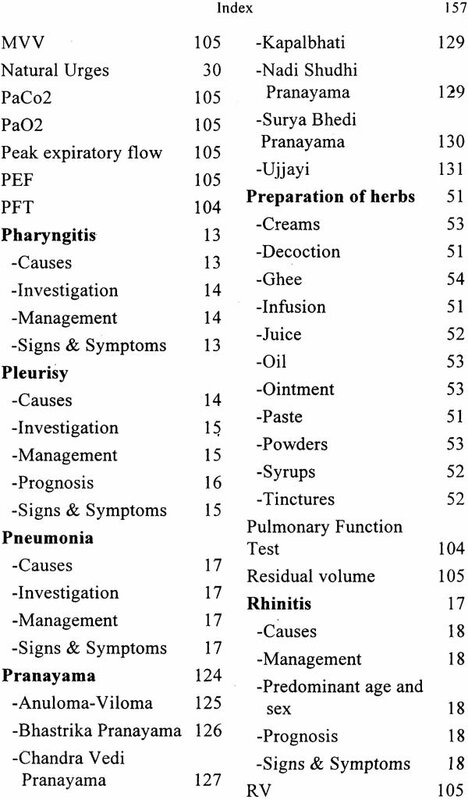 If this book helps any physician in the treatment of respiratory problems of a single patient, I will feel that my effort put in the preparation of this book is amply re-warded. In rural India, there is a great dearth of hospitals, dispensaries and health centers. The cost of conventional or allopathy drugs are increasing day by day and sometimes beyond the reach of poor people which constitute the majority of our population. The greatest advantage about allopathy lies on its ongoing research in respect of improvement upon the already existing medicines, and introduction of new medicines in which alternative medicine lags behind. Allopathy has risen to present heights because it is backed by enormous financial assistance from the states and voluntary organization and countless individuals. These advantages were denied to other systems and this is the leading factor that compelled the alternative or complementary systems of medicines to adopt a low profile. 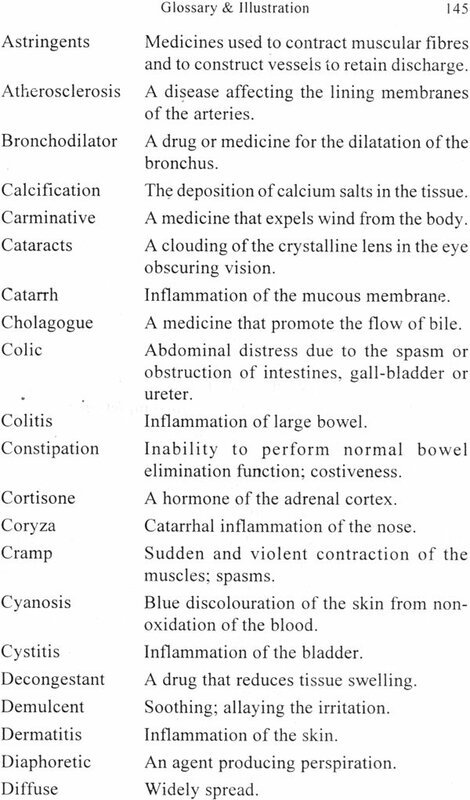 Certain therapies were confined to specific areas, tribes or even selected homes. 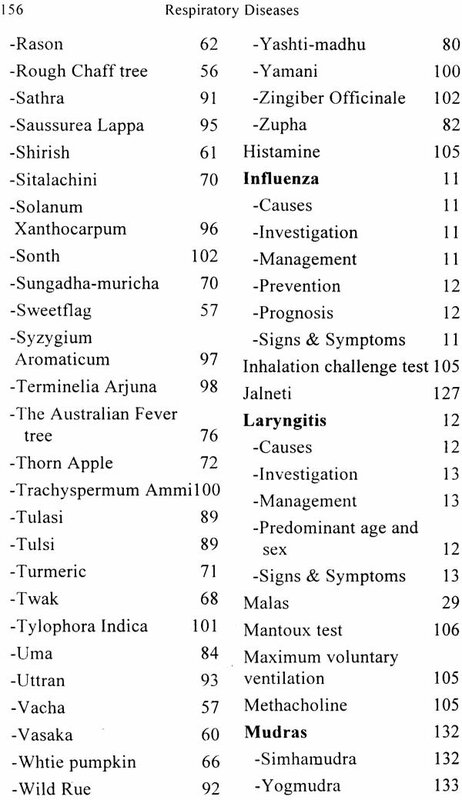 As a result the benefits of alternative medicines could not reach the vast majority of people. However 110 one can deny the importance of conventional drugs and surgery in the treatment of life threatening disorders. But it is also a known fact that in some cases conventional drugs does not cure the diseases rather than make the symptoms of the disease more complicated. 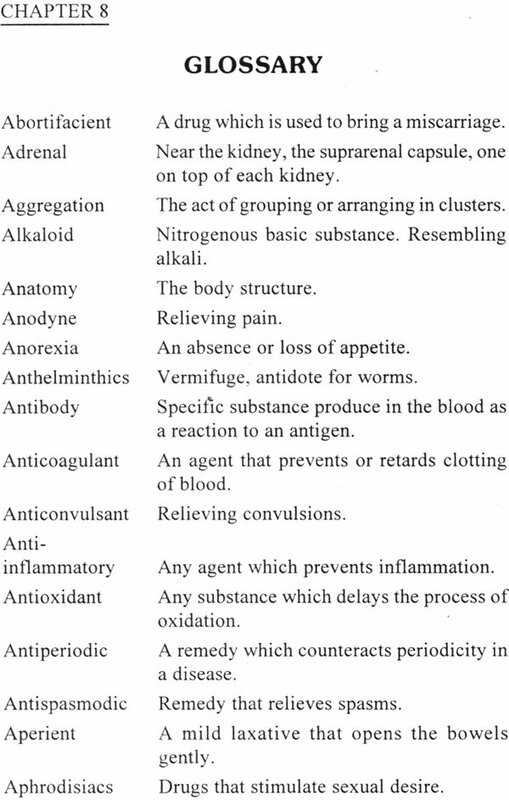 On the other hand, alternative medicines fail to achieve the task of curing problems in certain cases. 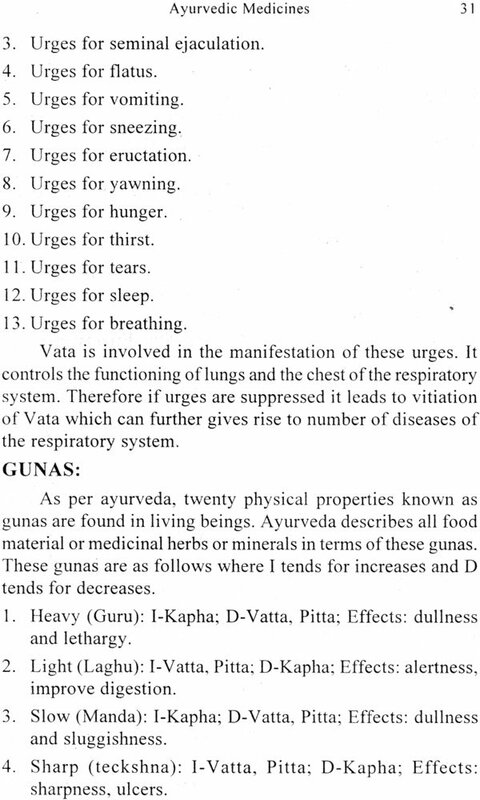 Hence a holistic or rational approach is required to make the people free from diseases and lessen their sufferings. Conventional and complementary practitioners need to exchange ideas and cooperate to combine e best drugs, herbs and other treatment approaches to improve the well being of their patients. Integration is the key to the best possible healthcare for the future. The author strongly believes in integrative medicine hereby a combination of conventional and alternative medicine work wonders in controlling and curing any type of disease.